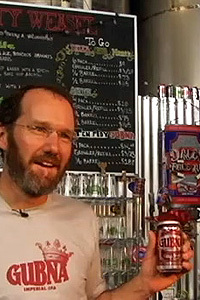 First in a series of brewer interviews: Dave Chichura, the head brewer at Oskar Blues Brewery in Lyons, Colorado. The main focus of this interview is the Gubna. Their version of an Imperial IPA. A beautiful hop bomb that will get you addicted upon first taste. I appreciate Dave for taking the time to do this interview. Let’s begin…. What got you started into brewing? I had been drinking American craft and imported beers for a few years. This happened after I had my first Guinness Extra Stout. I had no idea that beer could taste like that. Do you tailor the types of beer you make to the market? NO. We make beer that we like and hopefully other people like it, too. There was discussion in a production meeting one day about moving Ten FIDY to seasonal status and the need to follow it with another seasonal offering. The consensus was something big, hoppy and easily distinguishable from our other beers in aroma, flavor and color. We discussed attributes in a couple of brewer meetings and created a list of ingredients to build it. It was a democratic process with everyone on staff having a say in what we’d do. As far as the hops were concerned, my previous experience with Summit was only with a test dry-hopping of one of our other beers. I liked it a lot so I put forth the idea of a straight varietal beer. We did a 10-bbl batch in Lyons and dry-hopped several growlers of the finished fermented product with various hops. The Summit won. Do you have a favorite double ipa? What did you like about it? What did you want to improve upon with that beer? Pliny’s really good. I enjoyed the Rogue I2PA a while back. The ridiculous hop flavor and aroma in a drinkable beer is what I look for in a double IPA. I’m not really into super bitterness, especially with the West Coast styles. How long does it take for you to settle on a recipe before you make it? This one went really quickly. We pretty much hit all the marks on the first pilot brew. We did one more with an increased amount of rye malt but went back to the original amount when we scaled up to 50-bbl. Do you get a lot of fluctuation from batch to batch? We’re keeping it pretty steady. We’ve had some ferment a little beyond our target but I think we’ve gotten it to where each batch is within spec. What’s your favorite thing about what you guys do? The process from start to finish and the teamwork that it takes to pull it off. The quality of each of our beers is the result of that. It’s not just one person responsible for our product. Seeing people enjoying our beer and reading letters from people who are fans is a huge thing, too. It’s a real motivator when you’re running out of gas at the end of the day. I know a lot of my friends find the pricing of your 4 packs to be too expensive. Especially a “canned” beer, selling for $15.99 at my local beer store here in SF. What do you tell people when they say your beer is way too expensive? I have them picture it as buying 2 bombers plus an extra 4 ounces of beer in a better, more conveniently-sized package. When it’s put that way it gives people perspective on it and helps to explain why it’s not an outrageous price. I also explain that it’s a very expensive beer to make. Lots of malt and lots of hops, plus a longer tank residence time. When I started buying this beer, the store owner told me that it’s a limited release and he wouldn’t be carrying it much longer. How long to you plan on brewing this? Have you received an overwhelming response on keeping this beer going year round? As of now we’re planning on having Gubna available through September. Then it’s back to FIDY until March when the Gub comes back. We have had people express their interest in keeping it year-round. I can’t say whether it will be or not. What are your future plans? Next brews? Do you plan on ever doing a Triple IPA? As far as the future’s concerned we’re really focusing on the increased demand in our core brands (Dale’s Pale Ale, Old Chub, Mama’s Little Yella Pils and Gordon) and how we can keep everyone supplied. We just added two 200-bbl fermenters and will be adding two more plus a 200-bbl bright tank at the end of June to help us keep up. A triple IPA is not in the works. We’re thinking more of a non-alcoholic, gluten-free, fruit-infused malternative beverage. Yeah, that’s what we’re doing. Would you believe that I’ve never tried anything from this brewery until a couple months back?!?! Because at the end of the day….isn’t that why you’re brewing? Isn’t THAT what’s it all about? P.S. Coming to love the design of their wacky cans! 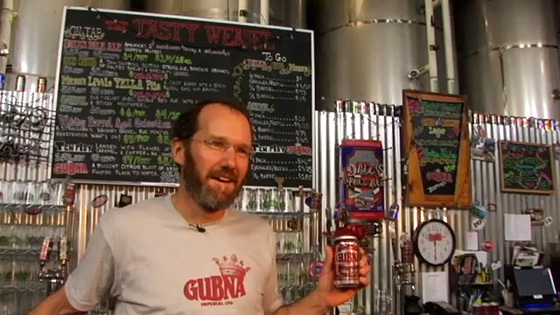 From the first sip, my favorite is Old CHub and they won a medal withit at the GABF, Saturday, Oct. 1, 2011. Way to go! This brewery has it all from teamwork to excellent skill to produce a craft beer worth talking about it. Kep it up!!! Colorado is lucky – we have over 165 microbrews in the state and Oskar Blues keeps filling the demand and with efforts like that they are bound to keep growing in popularity.